From the Renaissance to the Enlightenment, the geopolitical placement of Ukraine drew the attention of some of Europe’s most influential cartographers. Many of these maps, including ones of exceptional rarity, were collected by the Ukrainian scholar and journalist Bohdan Krawciw. Krawciw traced the physical and aesthetic depiction of Ukraine across its changing borders as a means of self-recognition and as a cultural and political history of the contested nation and its peoples. 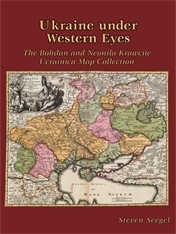 Of special interest are his maps of Ukraine from the nineteenth and twentieth centuries, at the crossroads of four empires: Habsburg, Ottoman, Russian, and Soviet. As part of his personal archive, Krawciw’s maps were bequeathed to Harvard University upon his death in 1975. 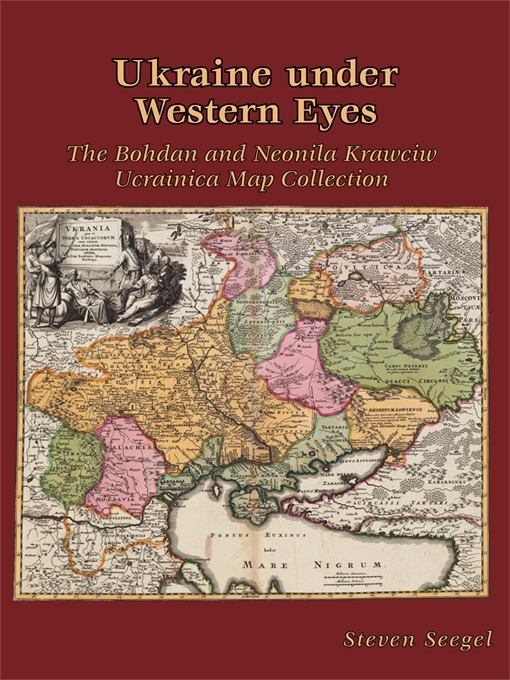 This book serves as both a catalog of his collection and a description of how the maps he collected serve as an invaluable source for Ukraine’s history and a symbol of Ukrainian national identity. The book contains nearly 100 examples from the collection, many in full color, as well as indices listing maps by cartographer and by place name.